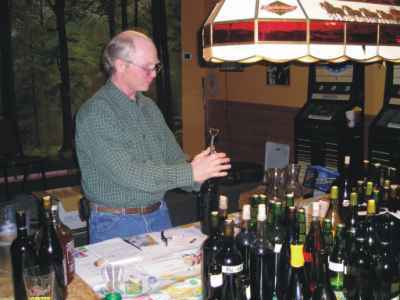 The Boreal Brewers hosted their first wine tasting at The Backyard Barbeque in Bemidji, on Saturday, Feb.21. Home vintners of all stripes showed up with about forty different fermented products to sample and about 90 enthusiastic tasters attended. 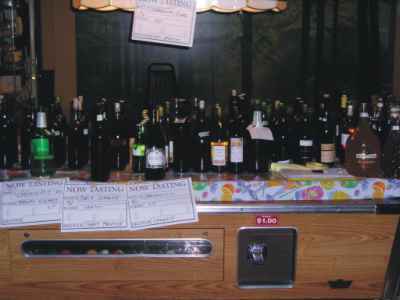 The club decided to do an all-wine tasting because there had been numerous wines, meads, and ciders showing up at our other “mostly beer” tastings and we felt that we might do well with both an “all beer” and an all “other” format. 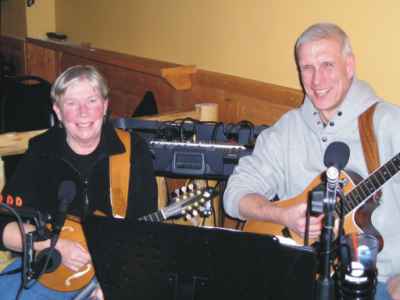 Music was provided by an excellent duo, “Other Mountain Remnant,” who played flute, mandolin, and guitar, and sang. 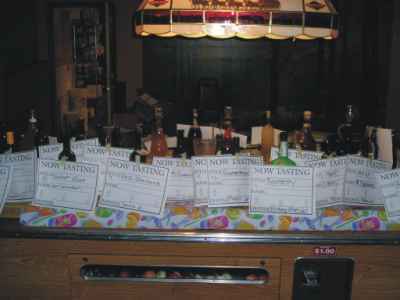 A carefully covered pool table served well as our staging area. We separated the products into grape versus other fruits, and then grouped the wines from dryer and sweeter, serving them in that order. Bill Wilson was the ultimate arbiter. A fourth group were ciders and meads, of which there were about half a dozen. 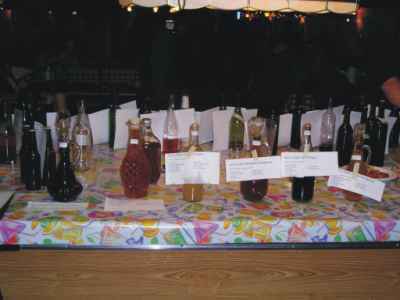 A fifth group was made up of assorted products of which there was only one bottle. These we arrayed across the table and, at the end of the tasting, we invited everyone to serve themselves a taste of any that interested them. Suzie, a Cass Lake vintner, figured prominently with her eclectic collection of wines in delightfully odd bottles. Pineapple-carrot and banana-mango would have to be “Suzie wines” and they were all wonderful surprises. The new venue worked well due to its good acoustics, spacious seating, and tasty and varied menu. 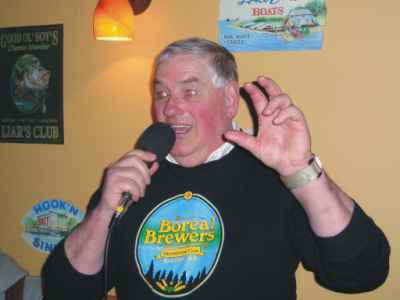 In place of our traditional singing of The Barley Mow, we wrapped up with a spirited rendition of the familiar Tom Paxton classic, “Bottle of Wine.” Lyrics below. singing for nickels and dimes. cold as the dark in the mine. I got me a little bottle of wine. Well, the preacher will preach and the teacher will teach. The miner will dig in the mine. huggin' my little bottle of wine. I meet to buy me a little bottle of wine. Legend has it that Gambrinus, the god of beer, challenged the devil to produce a wine without grapes. The historical origin of the concoction we know today can be found in 12th-century Belgium, although the Egyptians had already created fermented-grain beverages well before then.